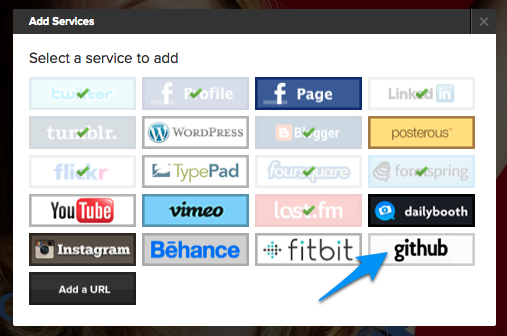 We’re excited to announce GitHub integration on your about.me pages. As you can see, it’s now available to add at the Services tab of your Edit Profile view. The GitHub modal shows both Repositories as well as Gists. Repositories display the language, number of watchers and forks. A perk of GitHub is the static page hosting available for repositories. If there’s documentation or other content that is best displayed as a web page GitHub will host it for you. The best part about this is that updating it is as easy as pushing changes. GitHub has been a blessing for our team when we need to make small changes to open source projects that we use. Just one click and we have our own fork of the project, yet we can stay up to date with the original project by merging in later patches and changes. Likewise, GitHub makes it easy to contribute to original open source projects. This gives us the opportunity to return something to the communities that makes about.me possible in the first place. GitHub is a standard space where startups look when considering candidates or looking for new hires. 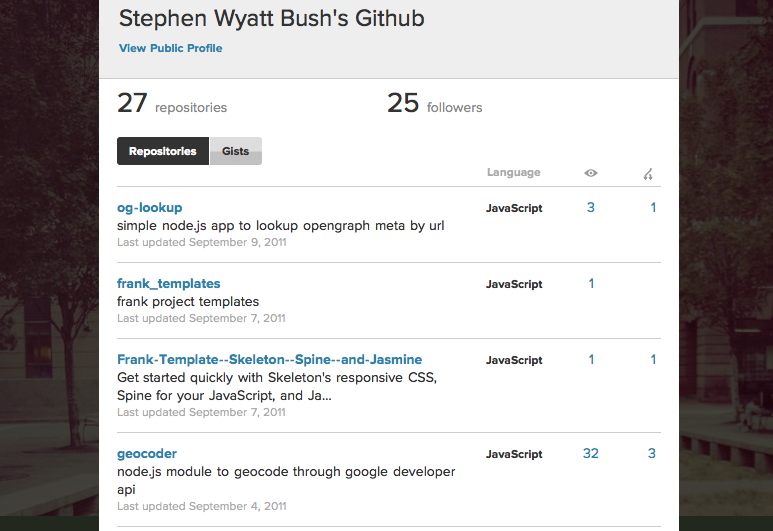 So if you are looking to show off your chops, add Github to your page! 3 responses to GitHub is here! I got mine in there! I even did the daring way. Although I don’t have much in my Git sadly. I love and evangelize the open source community, but I just have contributed that much yet. Yet!